Niche sites and sometimes micro-niche sites are things which we hear a lot and sometimes try ourselves too. But, when we don’t succeed, we give up very easily. That’s happened with me and I need to change it for good. Let me highlight my attitude towards it and the result it gave me in the process. I was very excited to try niche site. Guys Like Spencer Haws and Pat Flynn inspired me as they have done it very well. 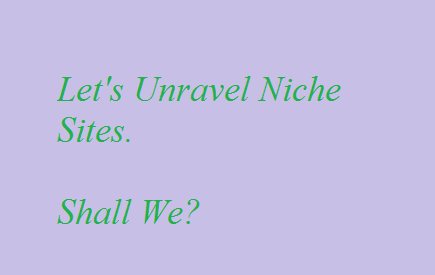 Though I picked the niche which is less competitive, the niche is something which I am not personally passionate about and since I had decided to write the content myself, it ruined it. 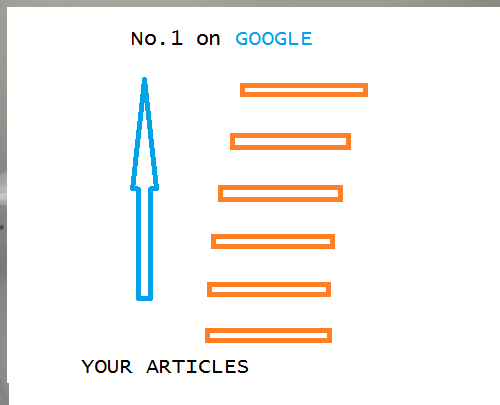 I was not able to deliver content which was rich in quality to see nice traction. Also, it was a product based niche and I am not good in reviews for now at least. So all the signs were against me. The solution would be to hire writers to churn out great content or instead choose a niche in which I was personally passionate about. The idea of niche site to is to earn quick money in short run. I failed at it terribly. Since I was not creating quality articles, the result was no good traffic as I was not showing up for the targeted keywords, so I kept on losing interest along the path. I made excuse about many things like my job and other sites, but it came down to the fact that I was just being lazy. First learning is related to my activeness. If I had invested in a interested niche, my laziness wouldn’t come in way. The solution is to be consistent with the projects we have started. Time spent is money and if we don’t learn and implement it, it is a huge loss. Earlier it was very easy compared to now to churn niche sites, but now it has to be real quality and useful to the users to have a positive impact from Google search engine and since niche sites are reliant on it, we must adhere to some nice quality content. Content is definitely king, having some natural links can help a niche site go light years ahead if in low competitive keyword. The solution is to treat niche sites like your life blog and give it complete care and always keep tweaking it for good. So, the traction remains the same along the time frame. There is no point in saying we learn if we can’t put it into practice. So, I am going to start fresh and implement my learning’s to make my niche site a successful one. I won’t make the same mistake again, so going with the white hat technique, the hard one, I am off for my second try. Never try to game the system as you would earn less in the long run. Keep everything clean and you will benefit from it. Do visit www.nichepursuits.com and www.smartpassiveincome.com to learn more about niche sites. They are my inspiration. What are your experience with niche site?